Graduating from any grade, school, or program is a major accomplishment, and it’s an important milestone to share with friends and family. But in order to get the celebration started, you need to inform everyone so they can attend the ceremony or graduation party. That’s why graduation announcements are a big deal, and it’s smart to put some time, thought, and effort into them. Yet what holds many people back from sending graduation announcements is the cost. If you do a quick search for custom graduation announcements, you may experience sticker shock – graduation announcements can cost hundreds of dollars. Luckily, you don’t have to sacrifice quality for savings. Here are a few ways to send out announcements that are cheap but high quality. If you’re tempted to not bother with announcements and to just inform people in other ways, think again. The impact of a well-designed graduation announcement can’t be emphasized enough, and this correspondence is about more than just informing people about important dates and times. A graduation announcement is a keepsake, a reminder of your milestone, and also announces to your loved ones so much more. Show off the graduate. A graduation announcement is the perfect excuse to unabashedly brag about your graduate. After all, they’ve taken a huge step in life and deserve recognition. A flattering photo is a great start, of course, but you can also include information like the degree earned, honors received, or where they’re heading next. Get a head start on networking. Regardless of what your grad plans to do next, the right announcements can serve as powerful networking tools. 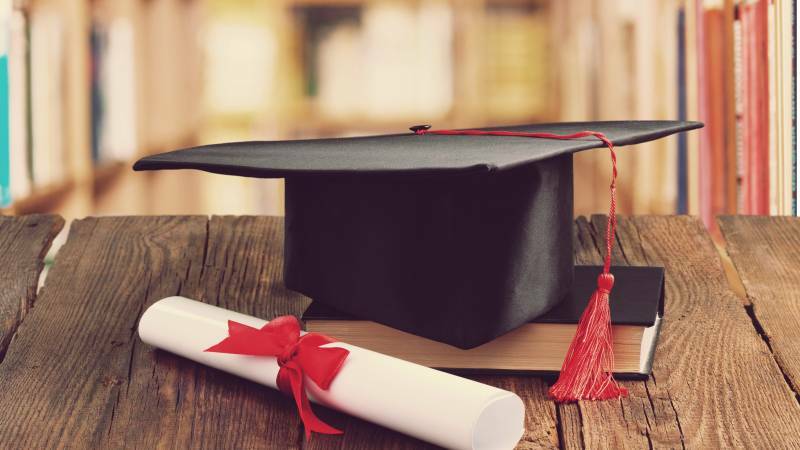 You never know which recipients may have important connections, and they may keep your graduate in mind after learning about their accomplishments. Share important information. Another benefit of a well-designed announcement is it allows you to share important information about the graduation ceremony and party you’re throwing. By sending out the announcements early and requesting RSVPs, you can get a solid idea of how many people will be in attendance—and that makes planning for commencement day a lot easier. Make your own. With simple software like Microsoft Word, you can create graduation announcements of your own. Many software choices come with templates that make it easy to develop professional-looking cards. Typically, all you have to do is customize it with your own details, including information about festivities and a photo of the graduate. Many websites also offer free templates; Blue Mountain and Print Free are just two examples. You’ll pay nothing to design the announcements and will only have to pay for paper, ink, and postage. Send eCards. By now, most people are accustomed to receiving invitations via email, so this is a viable option to consider. You can create your own announcement using Microsoft Word or the like, turn it into a PDF, and send it out in a mass email. Or, eliminate the hard work: websites will send out eCards on your behalf, and plenty will do it for free; you’re limited to whatever they offer, though, which may not be much. Finally, some websites charge reasonable prices for more customized eCards, so that’s an option to consider too. Use social media. People increasingly rely more on social media sites like Facebook for staying in touch, so it may make sense to send graduation announcements over social media. Of course, you’re limited to inviting people who are active on those sites, so you’ll still have to send traditional announcements to those who aren’t. One benefit of this approach is that sites like Facebook keep a tally of who has RSVP’d – one less thing for you to worry about. Given their importance, it definitely pays to opt for graduation announcements. You may be able to save a bit by seeking out other options, such as professionals who can design the perfect announcements at an affordable price, so it’s important to do some research. Search online for printing companies and options – many websites sometimes offer special deals during graduation season on custom-printed announcements, and many companies have promo codes you can use to get free shipping or other discounts. Don’t assume you can’t afford what you want. With a little time and effort, you should be able to arrive at a solution that suits your needs and budget nicely. Interested in finding quality graduation announcements? Start a search today.